Suszen is my niece who just had surgery and I wanted to make a special card for her. I had made a lot of prints using my monoprinting plate from Stampendous and have been itching to start using them. 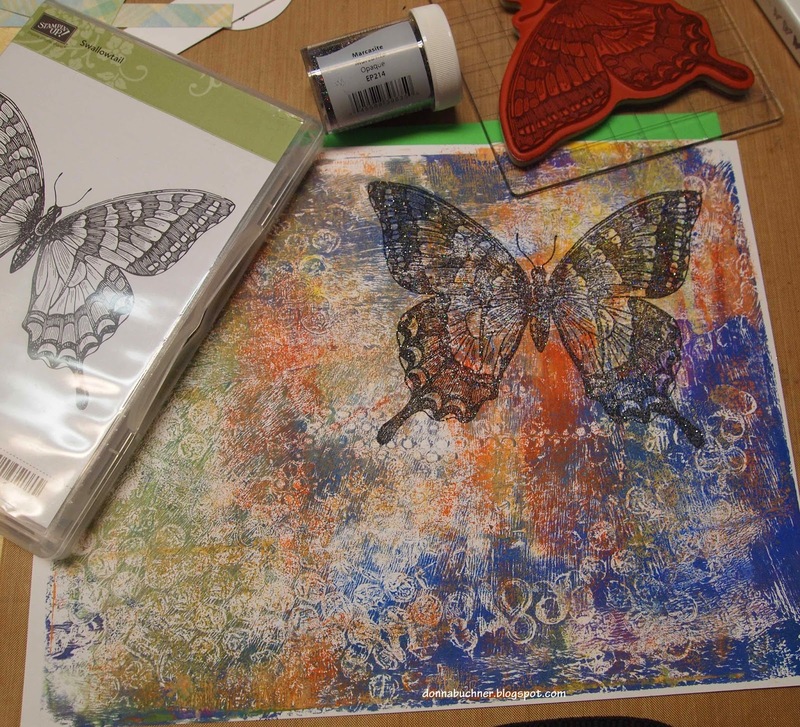 I pulled one out that I thought would make a beautiful butterfly along with my Swallowtail stamp from Stampin up. 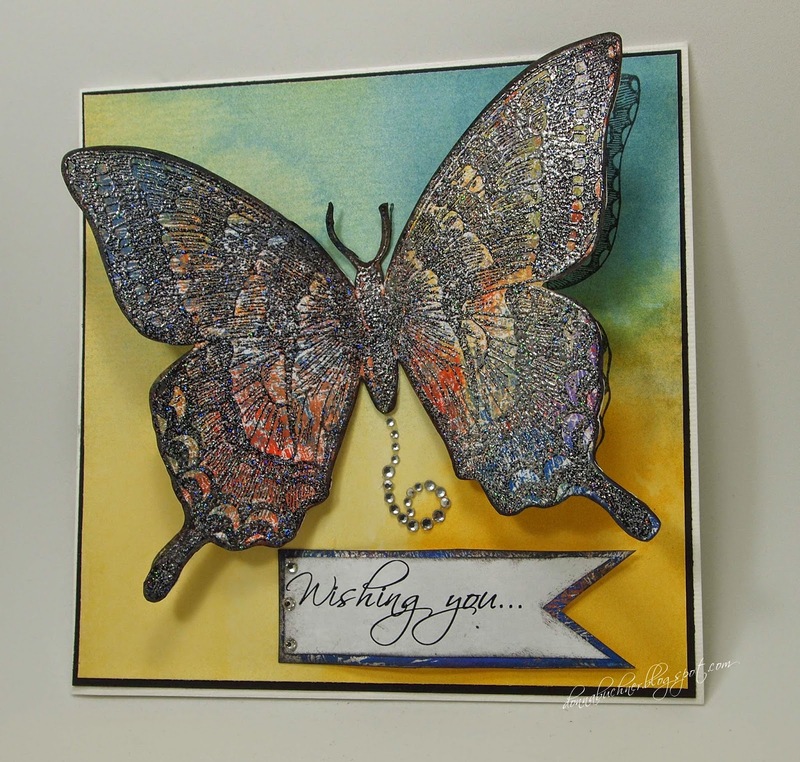 I stamped and embossed with marcasite opal embossing powder also from Stampendous. Love how this turned out. The background paper that I had mounted the swallowtail came from stampin up water color wonder series. I am starting my vacation as of 5:00 Friday! What a neat technique. I love the way the butterfly looks. I might have to try something like that. Thanks for sharing! Donna, the butterfly is AMAZING!